Without a doubt, 2018 proved to be a very challenging year for retail, with the worst Christmas in a decade, seeing many store closures, administrations, job losses and profit warnings. As some familiar names disappearing, shaking department stores to their foundations, is there hope for the high street? Can retail fight back? If you are into shopping sprees, you could shop till you drop way before the radio stations started blasting Mariah’s “All I want for Christmas”. As Deloitte reports, discounts in the run up to and after Christmas were broader and deeper, with more than half of all clothing on sale before the beginning of the festive period. However, according to the British Retail Consortium (BRC), price cuts were not enough to encourage shoppers. 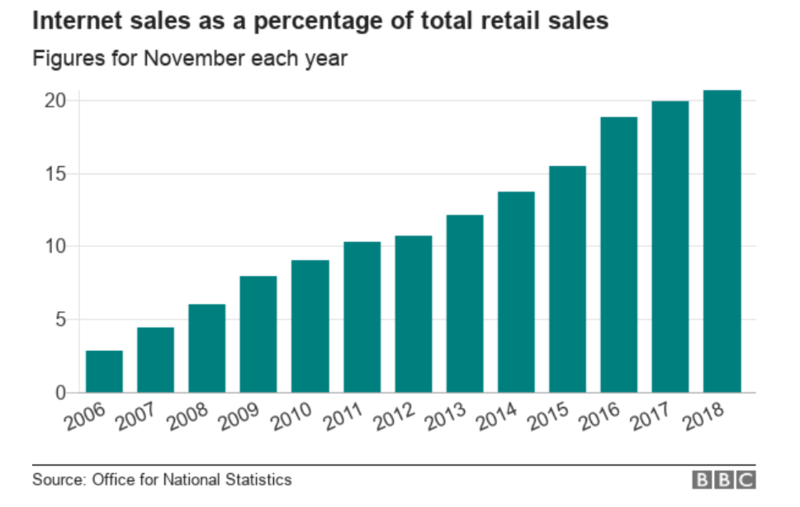 And as a result, retailers experienced their worst Christmas in a decade reporting zero year-on-year sales growth in December. Undeniably, British retail landscape is changing dramatically with many retailers pushed to the brink, due to the changing consumer behaviour and the rise of online shopping. Also, with weak consumer confidence amid the uncertainty around Brexit negotiation, low wage growth and the economic slowdown, more consumers than ever keep their wallets and purses shut. The Deloitte research shows the number of retailers entering into administration in 2018 rose by 6% to 125, whilst the number of retailers entering into Company Voluntary Arrangements (CVAs) increased by shocking 53% to 38. The number of big brands, such as ToysRUs, House of Fraser or Carpetright (with more than 10 stores) entering into a CVA increased significantly to 13, from just 2 in 2017. Large multi-site retail administration appointments also increased from 17 the previous year to 26 in 2018. Telegraph’s store closure tracker also indicates that 1,267 shops have been closed or earmarked for closure since January 2018 – potentially putting 25,159 jobs at risk. And while there is no doubt that retailers are struggling, certain brands continued to stay buoyant. 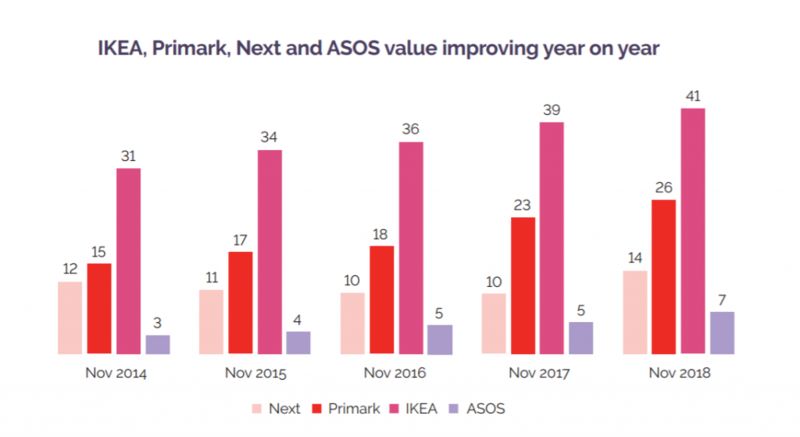 By offering value for money and embracing technology, providing great customer experience both in store and online, brands such as Ikea, Primark, Next and ASOS reported strong UK performance in 2018, according to a new analysis from YouGov. One of the most crucial factors that will dictate retailer’s survival will be embracing innovative technologies and ability to offer a unique experience. After all, the consumer is the king. Many retailers are already experimenting with technology in an effort to entice buyers into stores, from AR “smart mirrors” that let customers change the colour of their clothes virtually, to staff using digital assistants to sort out customer needs. Deloitte predicts an in-store revolution, based on a smaller number of shops providing new shop experience (from new brands to new services), but also allowing for in-store customisations on merchandise. Nathalie Bernce, CEO of technology retailer Smartech, notes that customers will pay up to 20pc more for a personalised product. Customers are increasingly using smartphones to check prices, look up items, and complete purchases. By 2020, it’s predicted that two-thirds of all UK ecommerce purchases will be made on mobiles, according to PayPal. The stores of the future will provide experiences, rather than simply focusing on selling stock. Many retailers will embrace the showroom philosophy, following suit of Apple, Samsung or Tesla, where the store is primarily a front face for consumers to see, feel and experience the product. With one in 10 people still working in retail in Britain, it remains the single largest private sector employer and we’re a long way from an online-only future. However, the continued change to the retail landscape, bridging the gap between digital and real-world interactions and focusing on sustainability will make the difference between those retails who fail and those who prosper. If you or your business is facing financial problems, then please do not put it off. Seeking advice early on really could be the difference between a business surviving and dying. You don’t know what we can do until you ask us!